In Pharma & Biopharma water is most widely used as a raw material or utility. Water used in manufacturing, cleaning of the equipments or in Process needs to be generated in pre-determined and validated process which includes. After washing vials with highly purified water and water for injection, the vials are dried and sterilized by 0 passing through a Sterilization tunnel at 300 C-320 C.
We deal in Emergency Purified Drinking Water of best quality and we offer it to our clients. Our experience and expertise in this domain has made us a top-grade entity in the market engaged in offering Packaged Drinking Water. Offered water goes through multi-level purification processes which makes it a rich source of nutritional elements. As per the needs and requirements of our clients, we are involved in providing 1 Litre Mineral Water. 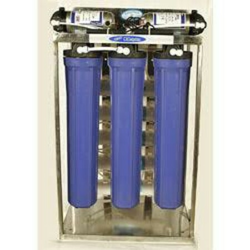 Matching up with the requirements of our clients, we are involved in offering Purified Drinking Water. Usage: Shops, Houses, Schools, etc.